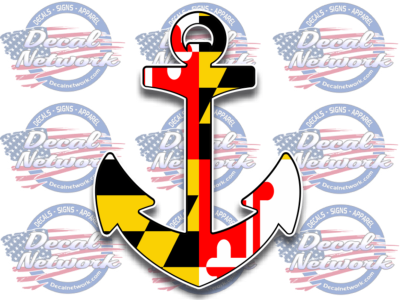 Our popular Maryland flag Ship anchor vinyl decal. Top quality easy to install. 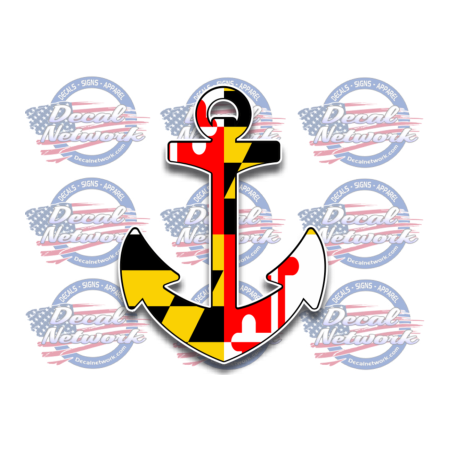 Makes a great gift for Chesapeake Bay lovers and Maryland lovers alike. Made from high-quality vinyl material that resists fading, cracking and peeling. Size approx. 5.3" x 7"
Made for outdoor - indoor application / cut to go on the outter surface. Will stick to any clean smooth surface.